The following story is taken from the Royal Military College Club’s magazine “The Marker” originally published October 10, 1952, which had been reprinted it from the Royal Canadian Signals Quarterly. This and other stories can be found in a collection of short stories by Anthony Armstrong, called ‘Warriors Paraded.’ Warriors Paraded is a collection of very entertaining and funny stories about the peacetime British Army between the wars. Austerity was in full bloom for the military with no tanks to worry about, it appears the general officers had something else to worry about….Fire Orders! 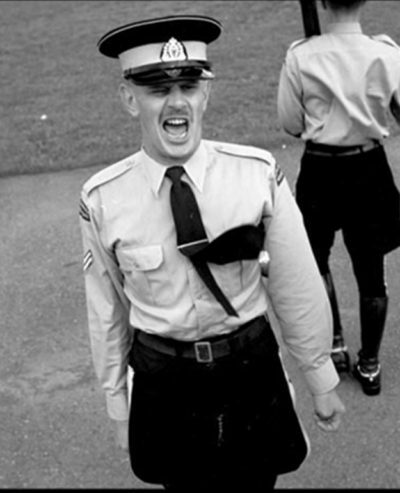 While reading the story below I wonder if retired members of the Force would inter-change British Army ranks for ranks of the RCMP based on their experiences back in the day when they were inspected by Commissioned Officers and Section NCOs …remember them? Apologies to our friends in the military I have added a few touches to Mountize the story. Remember it issupposed to be funny! Generals are not what they used to be. I mean, in the old days, when a rare and valuable officer like a General decided to inspect our barracks, we could usually ascertain whether he was the kind who wanted to find everything just right or who wanted to find something just wrong, or wanted to see soldiers at work or at play or not to see soldiers at all; and we could lay our plans accordingly. But nowadays we never know what they’re going to do next. They’re modern. They have inhibitions, complexes and repressions. Most difficult people. We were inspected the other day by General Sir Spurde Feele-Boote. He, we at once found, possessed a fire complex of such virulence that he should have been under treatment by a pyro-psycho-analyst. He bussed round and round the barrack fire station like a moth round a night-light, patted some lengths of hose and insisted on having “C” Block’s hydrant tested (total bag: a quart of rusty water, three dead newts and what looked like one of Signalman Abernathy’s missing socks), with the result that by the time we reached the Headquarters Offices were all on the jump if anyone so much as struck a match within fifty yards. “Try to put it out, Sir,” replied the Adjutant, briskly. For a moment it looked like being a pretty close thing for the Adjutant. Luckily, he was able to explain that all local instructions about fires began with that exhortation – ever since Signalman McGillicuddy, who is not too bright, once spent a precious ten minutes trying to get through to the barrack fire brigade office on a defective telephone, while what had begun as a small smoulder developed into a bright, merry blaze. The Adjutant cast a helpless glance round to see if he could see any Fire Orders anywhere, then pulled himself together, showing a flash of those qualities that had enabled him to remain for two years as Adjutant to a human detonation like Colonel Sam Brownbelt. At this point Lieutenant Blazer began to sidle out of the door, Lieutenant Blazer was orderly officer. He too soon gave us reason to be proud of what the manuals call the resource and imitative of junior officers; for detected by the Adjutant and questioned by the General, he explained that the Orderly Officer at once informed the R.S.M. (who at that moment fortuitously appeared outside the door) to take the necessary steps. With a sigh of relief Blazer summoned the R.S.M., who entered, saluted like a whole march-past, and, as good R.S.M.’s will, practically took charge of the whole proceedings. “The Alarm, Sir,” he said benignly, is given by blowing a whistle kept handy in the office.” He half closed his eyes and adopted a recitative tone. “On-hearing-repeated-loud-shrill-blasts-on-a-whistle-indicative-of-a-fire-all-troops-within-earshot-.” When I tell that you at this point the General interjected, “Where is the whistle?” you will see just what we were up against. The R.S.M., however, is a great man. With the air of one humouring a child he unhooked a whistle from a nail on the wall, saluted and handed it to Blazer, who saluted and handed it to the Adjutant, who to tell the truth had often wondered what the blazes it was there for anyway. He displayed it to the General, and that we thought, should have settled the matter. Unfortunately, it did not. As I said, you never know where you are with the modern General. He reached across, took it and blew into it. Nothing happened. Not even, unfortunately, to the whistle. He blew again. Still nothing, except a slight reddening of the imperial face. The whistle seemed to be merely a blank, possibly for ceremonial purposes. The Adjutant had a go and then passed it to Blazer. He, with the simple faith of a young subaltern in an experienced warrant officer, simply handed it to the R.S.M. The R.S.M. blew sharply into it. It gave an eerie sort of death-rattle, which was an advance on its previous form, but as a warning signal, just a mess. Anyone within earshot would have been more frightened of the whistle than the fire. But an R.S.M. is, of course, unconquerable. He took it from his mouth, gave it a look before which even Sergeants have quailed, and put it back. This time he didn’t just blow – he BLEW. The death-rattle broke into a gurgle, what appeared to be a plug of old teletype paper shot out of the whistle and cracked a picture on the wall, and a blast like the Montreal Express passing through Highland Creek lifted our berets from our anxious heads and burst upon the windows. The Adjutant grabbed at the papers on his desk; Blazer nearly burst into tears. The General said something in Hindustani. The R.S.M shook the whistle, wiped it on a Khaki silk handkerchief and returned it modestly to the General. “It seems alright now, Sir,” he said simply. “FIRE!” called the General, determined to get to the bottom of this. He repeated it, then went to the door and again shouted “Fire,” very loudly several times just as if he were repelling a hostile attack from the turret of his Centurion. We felt miserably that perhaps he ought to have waited until he could see the whites of their eyes. We did not think the situation could possibly have become worse, but it did. From the orderlies’ room next door appeared of a sudden Signalman Pullthrough. In one hand he held some crumpled newspaper and a bunch of kindling, and in the other a coal scuttle. True it had been a chilly fall day, but after that it got very hot. If the General keeps a black list of regiments in his command, we must now be so high up as to be somewhere on the preceding page. Generals are not what they used to be. It always amazes me the links that crop up when writing stories about our Force. Start writing about one thing then someone has more information and it leads to another connection. 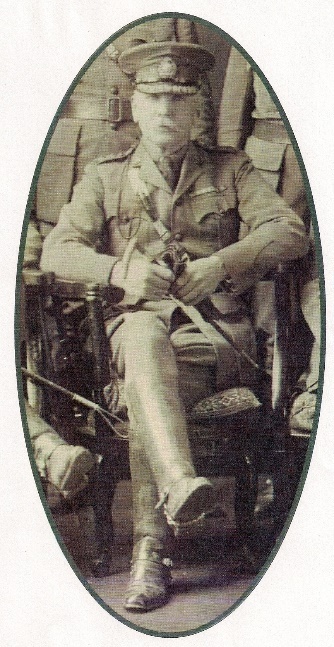 The story above was published in the Royal Military College Club magazine “Veritas”, which reminded me of the connection between RMC and the Force. Many of the Force’s early officers graduated from RMC and joined the NWMP with a commission (JWC). 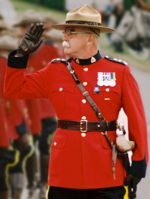 Even today many serving members have graduated from RMC and later become members of the RCMP, not joining with a commission, but starting at the beginning, the gates of “Depot”. 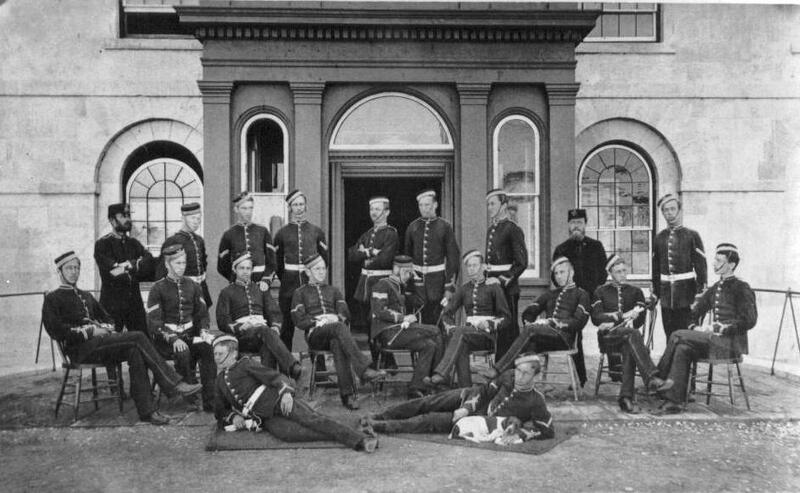 The first class, 1876-1880, to graduate from the Royal Military College. They are forever known as the “Old Eighteen”. Little did any of the “Old Eighteen realize one of their classmates would end up as the longest serving Commissioner of the NWMP,RNWMP and RCMP. I was born August 21st, 1860. While at high school in Napanee in 1876, I read an item in the “Globe” of Toronto asking for candidates for the newly established Military College at Kingston. On June 1st, 1876, I entered the first class at the Military College as one of the “Old Eighteen” – at the age of fifteen. I graduated at the top of my class receiving the Governor-General’s gold and silver medals. I received a commission and was gazetted as a Lieutenant in the Royal Engineers of the Imperial British Army. Unfortunately, a serious accident prevented me from attending my convocation ceremonies. The Commandant of RMC secured a six-month healing period before I was required to report to the Royal Engineers in England. I soon realized that accepting a commission in the British army was a serious error. Officers of the Imperial forces were required to supplement their meager wages through private means. This meant allowances from well-to-do parents. The military’s medical staff determined that my leg was not yet properly healed and my commanding officer advised me to return to Canada. With the blessing of my family, I resigned my commission; After a brief stint surveying in what is now northern Ontario, I accepted a position as librarian for the Geological Survey in Ottawa. I was gazetted an Inspector of the Mounted Police on January 24th 1882. I married Emma Duranty Meikle, the daughter of the postmaster and general merchant in Lachute, Quebec on on June 5th, 1883. Our son, Kenneth Meikle (born November 7, 1884) served in the Militia, became a Professor at RMC and retired as a Brigadier. My grandson, # 2772, Bernard P. Jennings, RCE, graduated from RMC in 1942 as a member of College’s, “Last War Class.” He subsequently took part in the D-Day landings, 6 June 1944, but sadly he was killed-in-action near Falaise, Normandy, on 14 August 1944. During the Riel Rebellion, I was appointed a Major in the Canadian Militia, and received command of the second section of the Alberta Field Force. With a force of 250, I led a march from Calgary to Edmonton. While crossing the Red Deer River I nearly lost my life landing a tow rope attached to the raft carrying a field gun. Following the Rebellion, I was appointed Superintendent of the Prince Albert district, on August 1st, 1885. 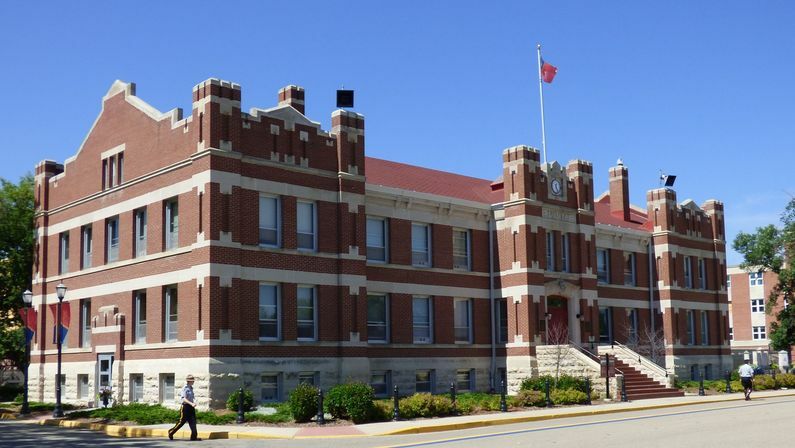 I was in command at the “Depot”, Regina from 1889 to 1897. While in Regina, I qualified in law and was called to the Bar of the Northwest Territories. In 1897, I was given command of the Calgary district and I commanded the Mounted Police as part of the military contingent which represented Canada at Queen Victoria’s Diamond Jubilee. I created a new NWMP post at Vancouver. In 1898, I was posted on special duty to the Yukon. On September 26th, 1899, I took over command of the Yukon from Superintendent Sam Steele. I was in command during the days of Dan McGrew and other goldrush characters. On August 1st 1900, I became the fifth Commissioner of the North West Mounted Police. I introduced the Stetson to the Mounted Police in 1900. In 1911, I commanded a contingent of RNWMP which took part in the Empire Celebrations in England, at the time of the Coronation of King George and Queen Mary. In 1919 I worked out the details of the force’s expansion and the move of its headquarters from Regina to Ottawa. 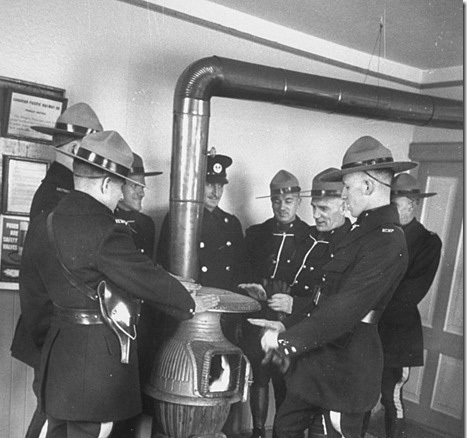 By February 1, 1920 the Royal Canadian Mounted Police were operating throughout Canada. Upon my retirement from the RCMP in 1923, I was conferred the equivalent military rank of Major-General. I was the only member of the “Old Eighteen” to be present at the re-opening of RMC in 1948 and I took the salute for the match past of the “New Hundred”. I died on February 14, 1956 in my 96th year in Ottawa, Ontario. I was the last surviving member of the “Old Eighteen” from RMC. Answer: Commissioner, (O.44), (Ret’d), Major-General Aylesworth Bowen Perry C.M.G., spans RMC history and connects the only three classes to have specific names- The Old Eighteen, the Last War Class and the New Hundred! Can you imagine sitting down with this man and listening to his stories? A.B. Perry served as commissioner for 23 years. In 2009 Major-General A.B. 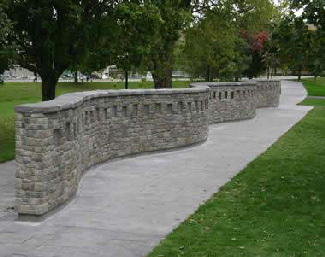 Perry, CMG ADC (1860–1956) was added to the wall of honour, below, at the Royal Military College of Canada in Kingston, Ontario. How many cadets have marched by this building and are unaware of the man it is named after?